In the last 25 years since the publication of A Nation at Risk (1983), there has been a clarion call of concern and legislative actions directed at improving the academic progress of our students across the nation. Part of the concern centers around our students’ abilities to consume and understand a vast array of new types of complex information. Researchers and educators are beginning to focus on 21st-century approaches and advanced literacies to address these concerns. Scott McLeod, a nationally recognized education technology expert, calls for the urgent need to transform our schools to prepare our students for the 21st century. Today’s students, he notes in his 2018 book, Different Schools for a Different World, need to develop an array of literacy skills to thrive in the complex global economy. Being literate in the 21st century has changed dramatically. As authors Nonie K. Lesaux, Ph.D. and Emily Phillips Galloway, Ed.D. note, today's students will need to communicate – orally and in writing – "in increasingly diverse ways and with increasingly diverse audiences to be successful in nearly every aspect of day-to-day life." To address this need for educational change, McLeod and co-author Dean Shareski outlined the four major shifts required for today's schools to meet the challenges of 21st-century learning. These shifts bear directly on improving the literacy skills of students. These four major shifts can be mapped to the workplace demands of the 21st century. When today's students enter the workforce, they will be required to work on teams in project-based scenarios. They must be able to demonstrate conceptual reasoning skills and the ability to solve unstructured problems. They will have a greater chance of success if they can employ written and oral communication skills to convey their reasoning in the workplace. "The skills and competencies that enable communication in increasingly diverse ways and promote the understanding and use of text for a variety of purposes. Advanced literacies reflect and acknowledge the changing educational landscape. It is the case that many U.S. schools have been guided by a series of assumptions about the instruction of linguistically diverse students that no longer hold in today’s instructional settings. Shifting our understanding of the instructional landscape begins with understanding a new set of guiding assumptions." 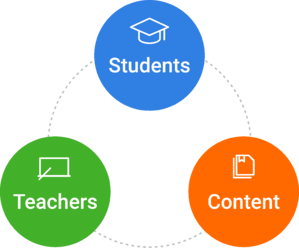 The day-to-day instructional core – the relationship among effective instruction, engaged students, and rigorous content – is where advanced literacies can have the greatest impact. Meeting the demands of the 21st century requires a new approach to instructional leadership for school leaders focused on strengthening the instructional core. Given the impact advanced literacies can have on a student's life in the 21st century, it is essential that school and district leaders adopt a focused initiative to incorporate literacy across the curriculum. When these hallmarks are embedded into instruction, students engage regularly and practically with the material and skillsets that will prepare them for 21st-century success. And when a common literacy resource – like ThinkCERCA – is used to deliver instruction that supports these four hallmarks, teaching advanced literacies can become feasible for teachers across the curriculum. Designing instruction to support advanced literacy skills begins with selecting texts that are engaging for students and feature big ideas and rich content. All students need to build their background and content knowledge for school success. The best way to do this is by reading high-interest and motivating complex texts. Multiple texts at different levels can be read by students in order to help them develop a rich understanding of a topic and to build upon their reading comprehension skills. Sets of texts are a key support for students on the path to consistently engaging with grade-level texts. In ThinkCERCA, teachers can access a large volume of authentic, engaging texts in math, science, social studies, and English language arts. These texts are differentiated for grades 3-12 and organized within real-world discussion questions. ThinkCERCA strives to select texts from diverse authors and about diverse populations. With ThinkCERCA, students produce a piece of writing in response to a real-world text. They are guided through the writing process with an evidence-based literacy framework called CERCA. The CERCA Framework provides a coherent and repeatable process to help students deeply analyze texts through close reading methods and then translate their analyses into academic writing. CERCA encourages students to state a claim, cite evidence, explain reasoning, address counterarguments, and use audience-appropriate language when they produce a piece of writing. It's a framework that students can apply to reading, writing, and thinking. Advance literacy skills can develop in the classroom when there is an extended back and-forth process of collaboration, discussion, and debate organized around complex topics. Extended discussion builds cognitive and linguistic skills together and creates a more engaging environment within the classroom. Furthermore, fostering engagement by focusing on building student autonomy and collaboration produces greater gains in achievement than lecture-based instruction. 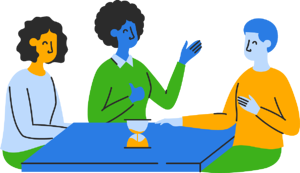 Some 21st-century applications of rich discussion include debates, speeches, and presentations. 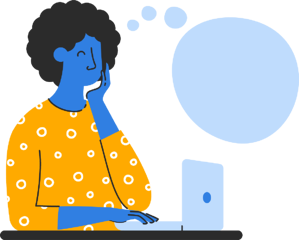 In ThinkCERCA, Writing Lessons are structured in a way that regularly encourages teachers and students to close their laptops and collaborate with the class – such as through a peer review, group discussion, or debate. 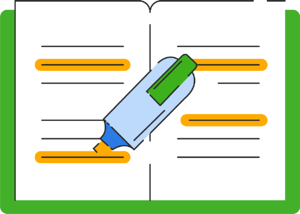 While each grade-level Writing Lesson in ThinkCERCA has its own writing prompt, each of these differentiated lessons falls into one overarching discussion question. This means that while individual students in a class may engage with different texts, they can bring their learnings and ideas into a broader discussion with the full class. "How can we improve student learning?" Grade 3: "What type of homework should schools assign?" Grade 4: "How much homework should schools assign?" Grade 5: "Should regular classroom learning time for students be extended?" Grade 6: "Do school uniforms improve student learning?" Grade 7: "Which school dress policy creates a more positive school environment: uniforms or dress codes?" Grade 8: "Do school uniforms and dress codes violate students’ rights?" Grade 9: "Should schools use standardized tests to evaluate students and teachers?" Grade 10: "Do standardized tests level the playing field or create more inequality?" Grade 11: "Will traditional colleges be able to adapt to a changing world, or will they become obsolete?" Grade 12: "Should colleges be responsible for helping poor students through college?" By discussing and debating real-world topics with peers, students encounter and engage with different perspectives. They also learn how to advocate for their ideas and are often motivated by their peers to do well. Research evidence suggests that daily reading and academic writing improve academic vocabulary and language while also improving reading comprehension skills. Academic writing in the form of argumentation is particularly effective at building the critical thinking skills required for the 21st century. These impacts can be further enhanced when conducted across the content areas using a structured framework with frequent performance feedback. With these structures, teachers have the support they need to teach writing regularly – even in a content area like math or science. With these tools, students have the guidance to approach writing in a more straightforward and approachable format. They can focus on the content instead of the structure. 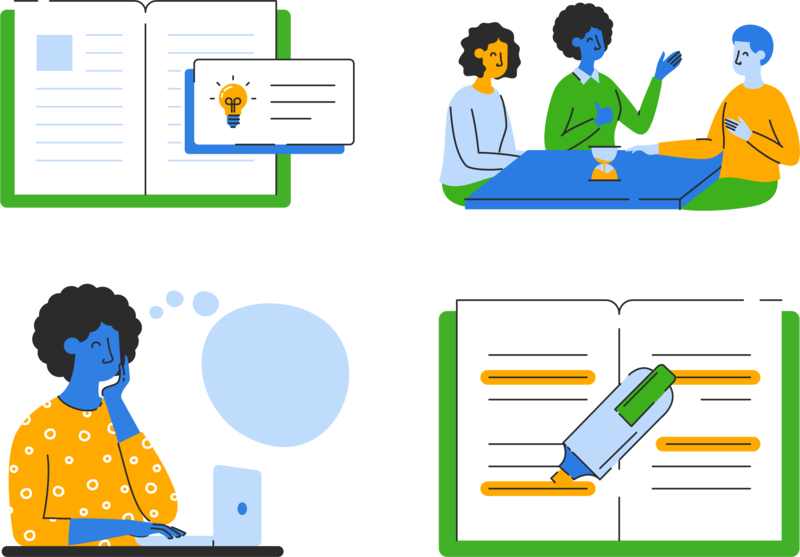 Whereas writing may have formerly been an overwhelming task performed once every few weeks, with ThinkCERCA, writing can become a regular part of everyday practice. The specialized and sophisticated words that make up the text on the page are a significant source of reading comprehension difficulty for many students. Many students can decode vocabulary words accurately yet lack deep understanding of what they read (they are sometimes referred to as “word callers”). Modern approaches to enhancing vocabulary does not means trying to teach as many words as possible. Instead, educators should focus on a small set of high-utility academic words that students will definitely need and use. Explicit instruction in academic vocabulary helps students access content across disciplines. 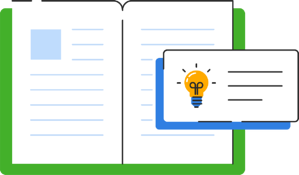 In ThinkCERCA, each Writing Lesson begins with a topic overview that models the conceptual vocabulary students will need to understand the context of the lesson at hand. Additionally, structured options for a teacher to read aloud or for students to play audio recordings help students access new and high-utility vocabulary words through multiple methods. With this assistance, students can discuss information with the class at a level slightly higher than they could read on their own. Today's students live in a complex, interconnected world. As they enter the workforce and civil discourse, their abilities to succeed will be impacted by their abilities to access advanced literacies. Preparation for 21st-century life is the end goal. For school leaders, though, the work to achieve this goal can begin with the four shifts and four hallmarks addressed in this post. 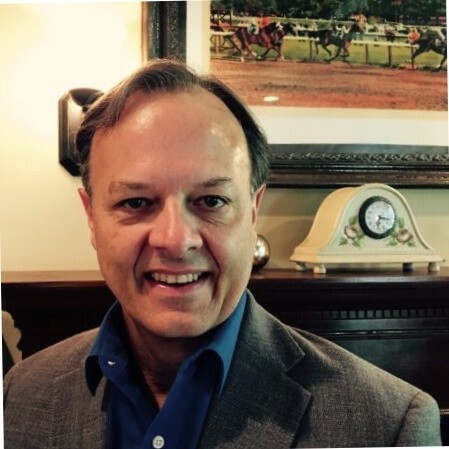 Continue your learning with the recorded webinar, "Literacy as a Tool for Student Engagement"
As an educator for 33 years in public education, Chris has a passion for helping struggling students improve their academic, behavioral, social and emotional status as a School Psychologist, Asst. Director of Special Education, RtI/Intervention Director, and Director of Research and Assessment. During this time, Chris was also an adjunct instructor in the School Psychology program at the University of Minnesota where he was an internship site supervisor for Ph.D. graduate students and taught courses in academic, social/emotional and behavioral interventions. Chris has a Ph.D. in Educational Psychology/School Psychology from Arizona State University with sub-specialties in abnormal psychology, quantitative methods, and child development.